All people want to live a healthier and more joyful life free from pain and circumstance. However, this is rarely the case, especially, when those negative emotions tend to creep in and take control over our lives. Sometimes it can be extremely hard to avoid that negative darkness which can very easily start consuming everything happening around you. On the other hand, it is possible to fully embrace the good things and not let those negativities, small or large, impact our happiness, joy, and peace. 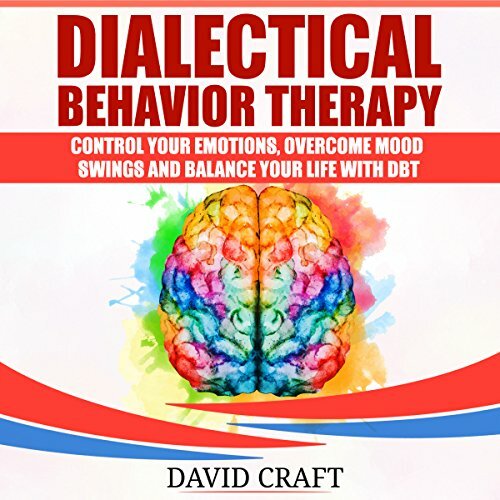 Thanks to the Dialectical Behavior Therapy (DBT) and its strategies and teachings, you can learn to live a truly, emotionally rich and fulfilling life which includes being satisfied with yourself, having healthy, meaningful relationships with other people, being able to accept changes as they happen by not letting the undesirable thoughts stick in your mind to bring you down. 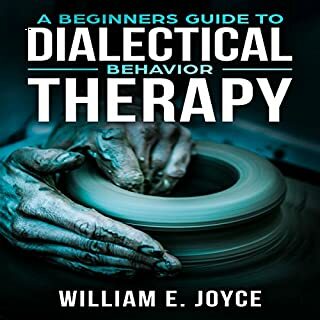 Dialectical Behavior Therapy has proven effective in reducing depression, anxiety, borderline personality disorder, post-traumatic stress disorder, and other symptoms prevalent in different types of mental health issues. However, the truth is that anyone, no matter their mental health state, can benefit from DBT. 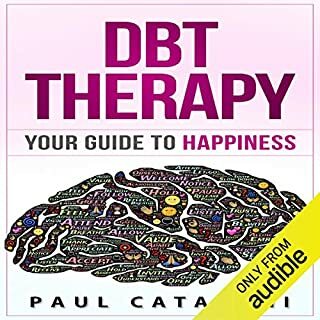 As soon as you embrace the DBT strategies and techniques, expect to see more joy and happiness enter your life. Get this book now, and learn how to live in the moment as you fully embrace everything good happening around you! 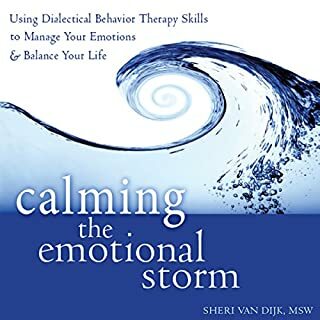 little to no actual DBT therapies, repetitive content and phrasing. the whole of the shared information would be better suited to a pamphlet than a book. Not written by a trained DBT professional- it just seems like a sales pitch for DBT. No practical value. With the strategies and techniques of DBT I am sure that can help you control negativeness and be completely happy in your life. The narration of the book adds the motivation it gives to the listener. 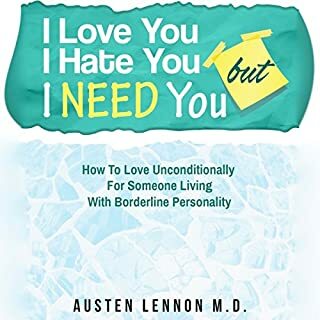 It explains so much of things I have experienced in life and helped me to get some clarity as to how to deal with it and move forward in a positive manner. Great book, easy listening, I couldn't put it down once I started. This is one of the most succinct psychological exercise and teaching books I've found. Very meaty and useful yet not a wasted word. I found the discussion of acceptance versus change especially useful. I have huge anxiety so this has helped me identify patterns and write how I feel and works to improve thinking errors! It needs to be listen slowly and thoughtfully. I highlighted a lot, then skim back through it to tie thoughts together. This will help you overcome bad things that have happened to you and focus on the life you have now. 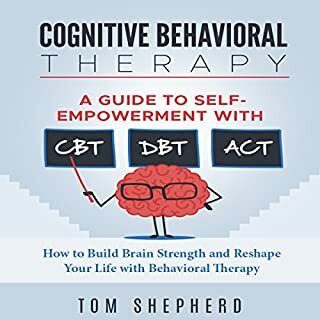 If you are looking for a book to teach you the basic DBT skills, this is not it. 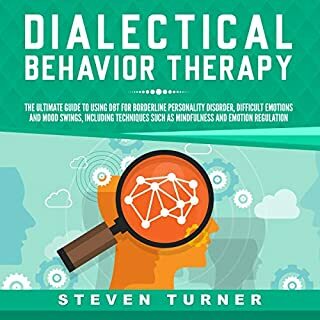 The entire book is simply the author telling you how useful DBT is, why you might need to learn it, and what wonderful things you will learn when you learn DBT. I know that. That's why I bought this book - to begin learning it. It's like a book on car maintenance that tells you how useful it is to learn car maintenance and the many wonderful benefits it will bring to your car... but no actual instructions on how to get started other than "find a good mechanics teacher". Not only that, but the narrator spoke in such a monotone that it sounded like the book was being read by a robot, which made it hard to concentrate (although to be honest, there wasn't much worth concentrating on, so perhaps the narrator was simply as bored as I was!). What an absolute waste of time and money. I have never read such a pointless book before. Very Helpful! This is an excellent guide! It has practical exercises and explains everything clearly. It explains how and why really well! Read things like this over and over. It is a great basic help and I have enjoyed doing the work sheets. This brief books presents both types of therapy very clearly. It shows the differences and the commonalities. It's important to remember anti-depressants help quite a bit, but if you still have to fight with that big ball of depression every day, unending, than this is a technique and a therapy (you can do it on your own), that's worth a try. The journal is excellent. While there are many on-line options available, I personally find that this method of recording requires me to think more and gain better insight. An excellent book.